One or more photo(s) has been virtually staged. Under Construction. Under Constructionâ¦Bayshore Beautiful townhome that gives you the unexpected. 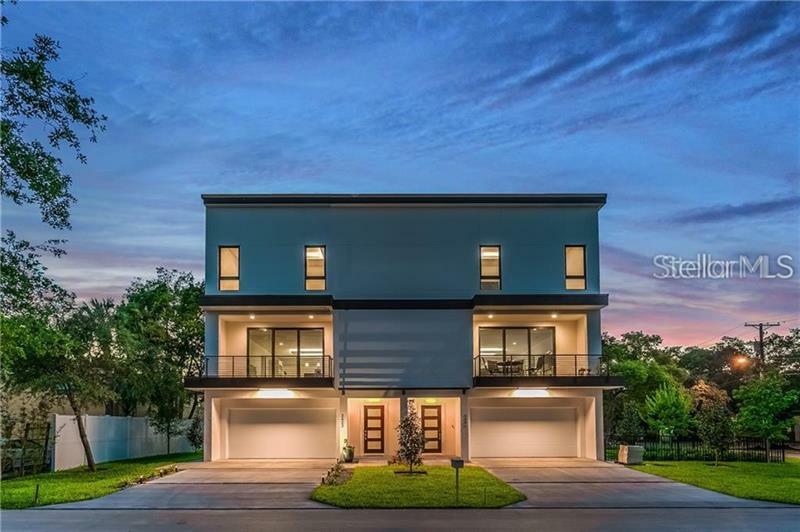 This is an amazing opportunity to own a contemporary townhome with ultra high-end finishes & unparalleled construction. This 3-story residence with private elevator is 3 bedrooms & 3 Â½ baths with spacious entertaining areas. The ground floor offers a 2-car garage, private side entrance, down stairs bedroom with 10â ceilings, laundry room & elevator access. The main level is an open concept with a wall of sliding glass doors that lead to an oversized covered balcony with a stained tongue & groove ceiling. The kitchen is an entertainers dream with custom European cabinetry, center island, Bosch 5-burner dual fuel range with a pot-filler, Bosch dishwasher, 36â Bosch refrigerator & chimney hood. The third level is a 3rd bedroom & master suite with 10â8â ceilings. The master retreat has & over sized closet and a bathroom that would rival any 5-star hotel. With European floating vanities, free standing stone tub, oversized shower with dual shower heads, floating shower seat, linear drains, curb less shower floor, this bathroom is a relaxing oasis. Other features include- 3-story block construction, smooth stucco finish & large plank wood through out living space. The location is unparalleled as you are 1 block away from Bayshore Blvd. Take a stroll on the water front or enjoy a short drive down Bayshore to downtown Tampa, & everything it has to offer. To be completed 2019. Please click on link for 3D video walk thru & drone footage.